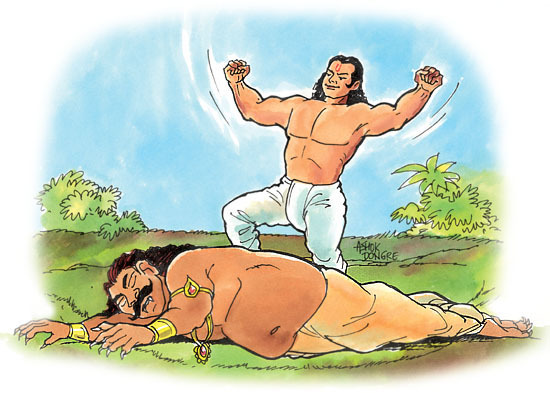 Here is a story of how brawn and brain go together – Yes, a story that I happened to receive from a friend, about Bhimasena. He sent it because I put off our Deepavali holiday trip to Mumbai and told him that we had to postpone the trip. He took the brahmin inside and gave what all he wanted and sent him away fully satisfied. LET US RESOLVE DURING THIS AUSPICIOUS SEASON NEVER TO PUT OFF DOING GOOD THINGS TO ANOTHER TIME. If there is something to do that brings you happy , Just do it now. As long as it may not bring harm to no one.